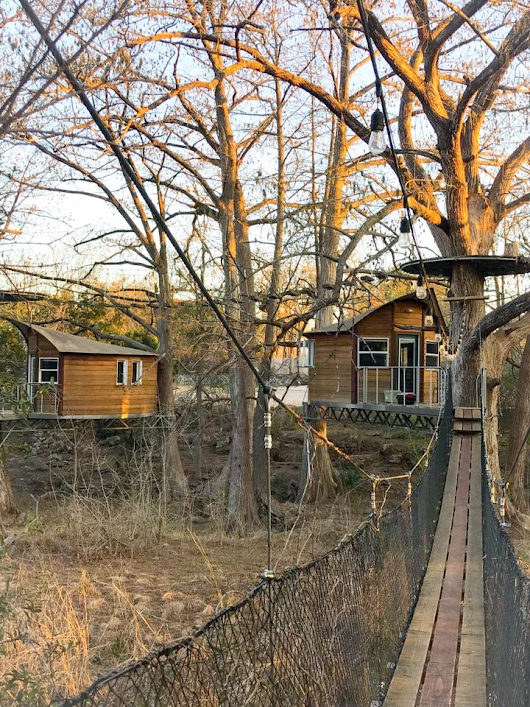 Austin redefines the term “Staycation” as it offers an abundance of weekend getaway opportunities. 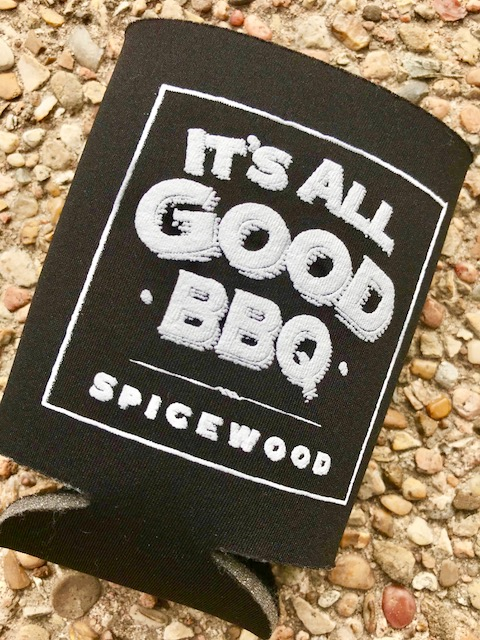 In the small town of Spicewood, TX, about 30 miles northwest of Downtown Austin, there is a hidden gem. 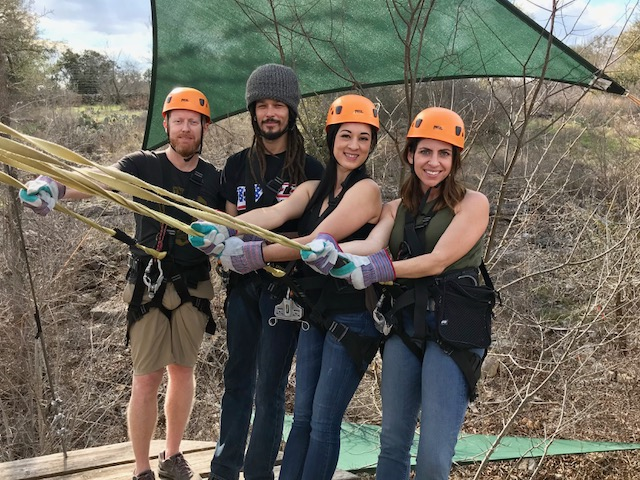 Cypress Valley Canopy Tours offers an experience that is as unique as the property itself. 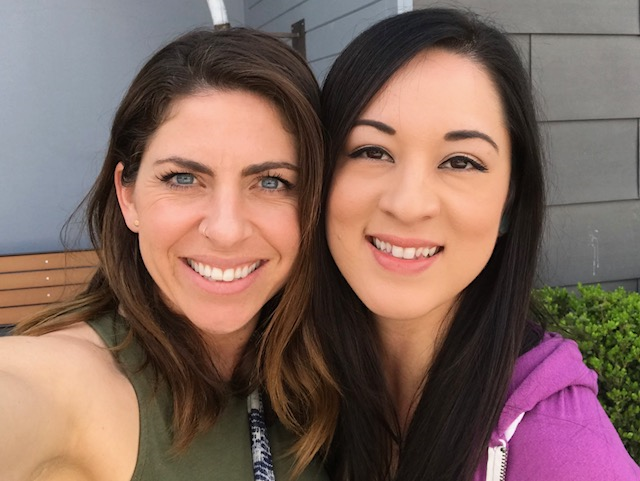 Two of our great agents, Jessica Rios and Kalan Murphy, took the weekend off with their husbands to experience this extraordinary property and have an adventure-filled weekend. Kalan describes their experience for us. 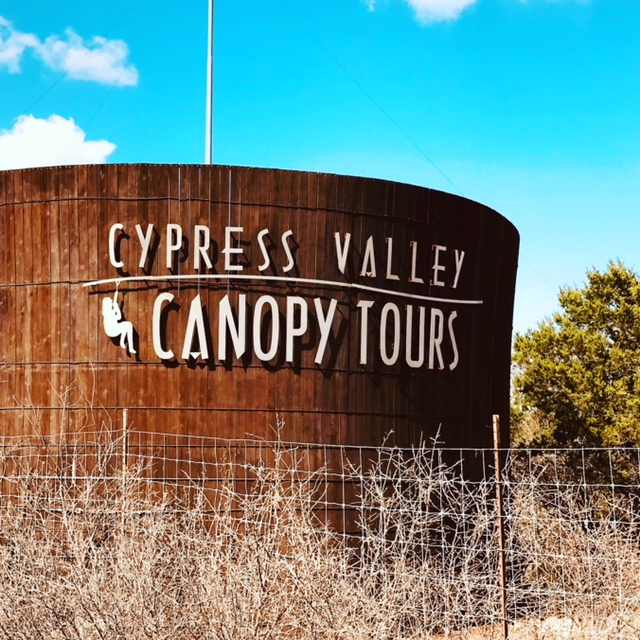 We didn’t know much about Cypress Valley when we booked our weekend away. We knew that we wanted to zipline in the large Cypress Trees, and sleep in the same canopy that night. That’s what brought us there. What we didn’t anticipate was the 88 acres of sustainably maintained land expanding around us. We couldn’t wait to explore the expansive terrain and hunt for the resident bison. Jess had high hopes of spotting an owl, but ultimately we only came across a fluffy little bunny, which got our group singing “Little Bunny Foo Foo” despite no children being along for this getaway. 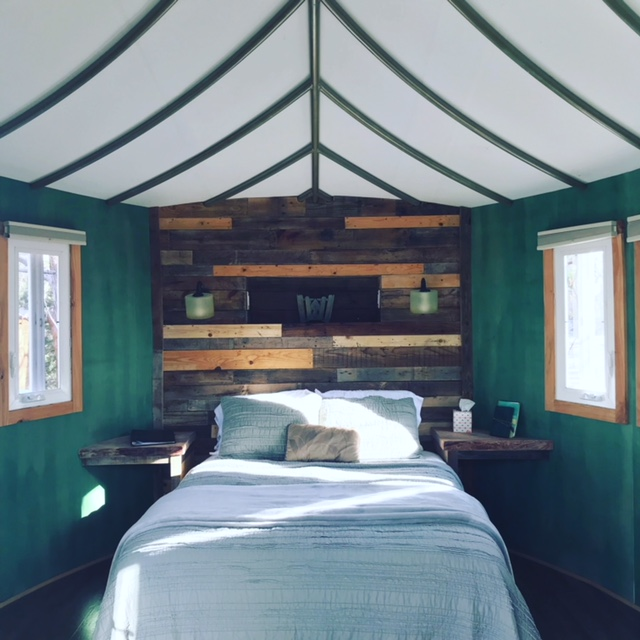 We were 2 couples away from our kids for the night and we had selected the Juniper and Willow tree houses. Crossing a narrow suspension footbridge we approached our adorable lodge. They were quaint, clean, inviting and bright. It was what I would consider “glamping” and it was just what we all needed. The zipline was a beginner course. With 5 zips it wasn’t considerably challenging, but for my husband’s first time, it was perfect. We had joined another group of 4 and we all bonded through the shared experience. The guides were professional and helpful each step of the way. We left for dinner, and although we had planned to eat at “Angel’s Icehouse” well-known for their live music, home-cooked food and draft beers, the large crowd pushed us to try a BBQ joint called “It’s All Good BBQ.” We ultimately decided that they should change the name to “It’s all Okay BBQ,” but the level of customer service certainly couldn’t be beat. They were gracious and let us stay past closing as we were distracted in our conversations. We had late night laughs on the front porch of our tree house and got a good night’s sleep in preparation for our mountain biking adventure we had set for the following morning. 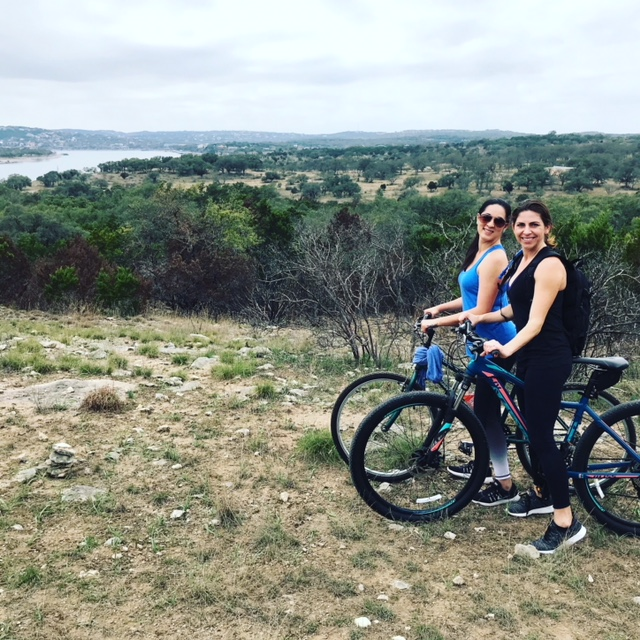 A short drive from Cypress Valley is Pace Bend Park, a Travis County park with more than nine miles of shoreline along Lake Travis. It’s a great spot for camping, fishing, hiking and mountain biking. Let me disclose, this was my second time to mountain bike, I am an extreme novice. These trails weren’t easy and some had to be “double black diamond” (and I’m hoping that skiing terminology transfers into the mountain biking world). I might have fallen, more than a few times, but it was still a great journey and I survived. Jessica, Mike and Neil were great trail companions, and we will definitely do it again soon!